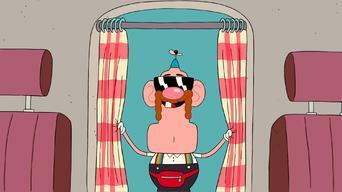 How to watch Uncle Grandpa: Season 1 (2014) on Netflix USA! 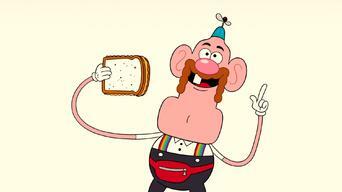 Sorry, Uncle Grandpa: Season 1 is not available on American Netflix, but you can unlock it right now in the USA and start watching! With a few simple steps you can change your Netflix region to a country like Argentina and start watching Argentine Netflix, which includes Uncle Grandpa: Season 1. 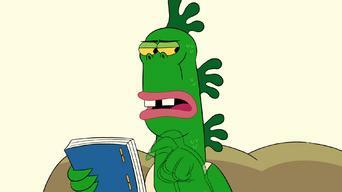 We'll keep checking Netflix USA for Uncle Grandpa: Season 1, and this page will be updated with any changes. 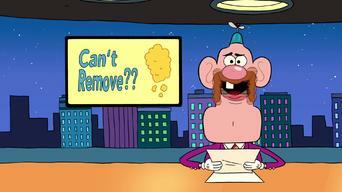 Uncle Grandpa: Season 1 is not available in USA BUT it can be unlocked and viewed! 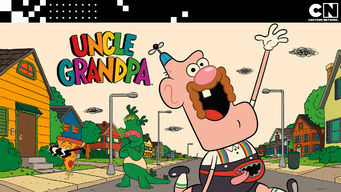 This surreal cartoon series follows the adventures of Uncle Grandpa, who travels around the world with his wacky friends helping kids solve problems. Everyone likes a grandpa or an uncle, but they LOVE a guy who's both -- literally everyone's grandpa and uncle. 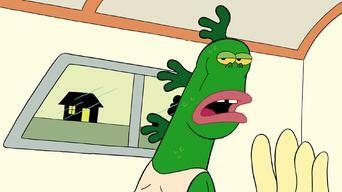 Season 1 of Uncle Grandpa has 42 episodes. Because different Netflix countries have different availability for episodes, you'll need to check the episode listing below to see which are available in the USA. When a kid is sad that his favorite shirt will not fit over his big belly, Uncle Grandpa shows him that fashions pass, but a big belly is always cool. 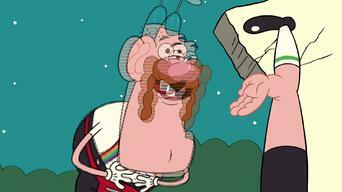 Uncle Grandpa accidentally unleashes a floating face that's so funny it can make you laugh yourself crazy. Will serious Gus agree to save the day? Uncle Grandpa mistakes a kid in a costume for an evil space emperor and sends him to another dimension, where he becomes an actual evil space emperor. 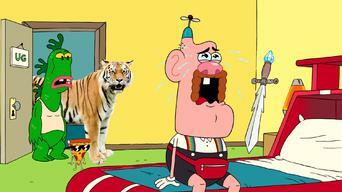 Uncle Grandpa needs his trusty Giant Realistic Flying Tiger, but she has vanished, sending him on a journey to find her and figure out why she left. 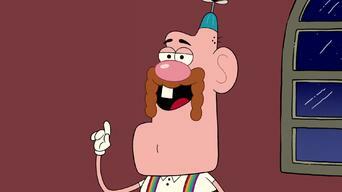 When Uncle Grandpa and the gang are in a rush to purchase some emergency moustache cream, they face a formidable foe: Mart Mart. When a kid wants a cool nickname, Uncle Grandpa convinces him that he has to earn it in the most legendary way ever: yard work! Uncle Grandpa convinces a girl who's afraid of the dark that there is nothing to fear but their own imaginations, which prove to be pretty terrifying. Uncle Grandpa tries to help a girl learn to drive, but when he accidentally shifts into the wrong gear, he sets a "crazy baby" loose in the city. 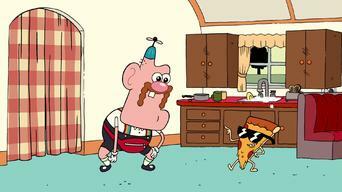 Gus and Pizza Steve have plans to go out for the night, but Uncle Grandpa cannot be left alone, so they turn to Uncle Grandpa to baby-sit himself. 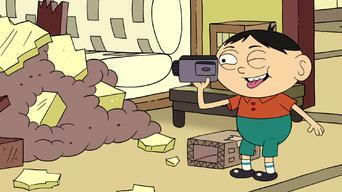 When Uncle Grandpa mistakenly eats a kid's Egyptian diorama, he helps the kid bring a real pyramid to school and unleashes an evil mummy on the world. 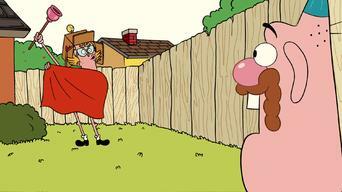 When Uncle Grandpa gets his head stuck in a peanut butter jar, Gus and Pizza Steve have to pretend to be Uncle Grandpa and help a kid. When Uncle Grandpa gets locked out of his RV and accidentally sets off the security system, he and his friends must disarm it before it destroys them. When Gus gets stuck in an embarrassingly supertight pair of shorts, he has to somehow get out of them in order to save his friends. Uncle Grandpa and his crew anchor a news show; tortoises weigh in on what's cool; Uncle Grandpa goes nuts while trying to break into a piñata. 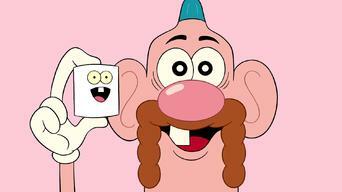 Uncle Grandpa and his friends eat at a restaurant but can't afford to pay the check, so they turn to a treasure map on the kids' menu for help. 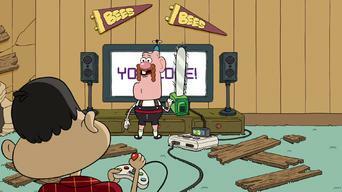 Uncle Grandpa wants to help Adam win a video game via mind control, but he'll need help from the self-proclaimed master, Pizza Steve, to pull it off. 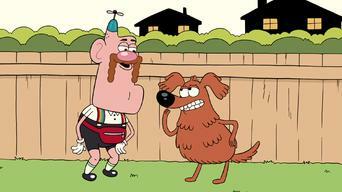 When a friendly dog named Charlie Burgers loses his ball, Uncle Grandpa and the gang try to help the pup get his beloved toy back. 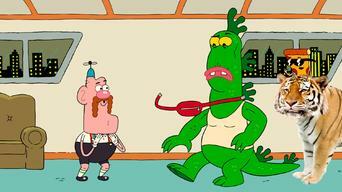 Uncle Grandpa and the gang travel to Japan to help a kid make a movie about a monster, casting Mr. Gus in the role of the fearsome creature. A hapless boy who can't do anything right wishes he were perfect, so Uncle Grandpa solves the problem by turning him into a robot. 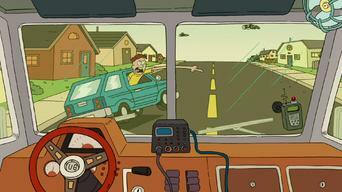 On sleepover night in Uncle Grandpa's RV, the gang wants to get some shuteye but can't rest until they deal with a disturbing noise. 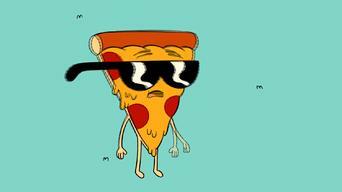 When Uncle Grandpa and Pizza Steve engage in a prank war, Uncle Grandpa goes a bit too far, pulling a prank that could get Pizza Steve eaten. 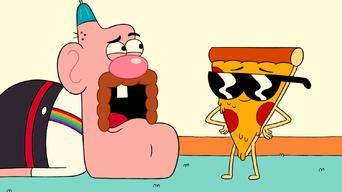 Uncle Grandpa travels back through time and returns to warn Pizza Steve that he will do something awful in the next five minutes. 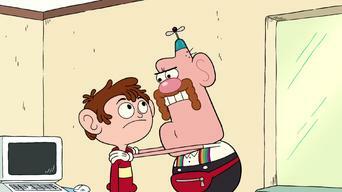 When Uncle Grandpa and Mr. Gus can't agree on which TV show to watch, the two have a wrestling match to decide the outcome. Uncle Grandpa shows off his RV; Uncle Grandpa reads "Weird Man," his favorite comic; Pizza Steve recalls how he won an Italian karate competition. 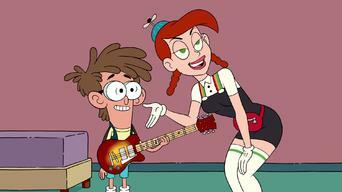 Uncle Grandpa announces the winner of a contest to draw the gang's next adventure, but the lucky viewer who won doesn't want the prize. When Uncle Grandpa wakes up on the wrong side of the bed, the rest of the gang goes to great lengths to turn his day around. 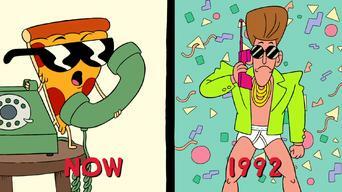 Uncle Grandpa tries to send his wacky pants back to 1992 but sends them to 1492 by mistake. Now he has to retrieve the pants from a feisty Columbus. 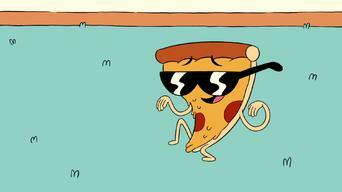 Uncle Grandpa's plan to become Pizza Steve's best friend hits a snag when he sends his buddy to the moon. 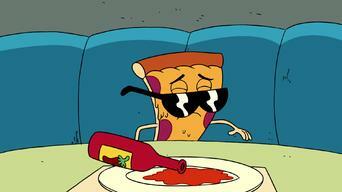 Eager to raise money for a jet, Pizza Steve opens a food truck with Uncle Grandpa, but the booming business is more than they can handle. 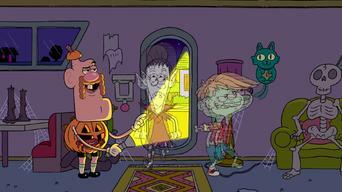 When a game of hide-and-seek stirs up painful memories for Uncle Grandpa, his friends try to help him conquer his fear. 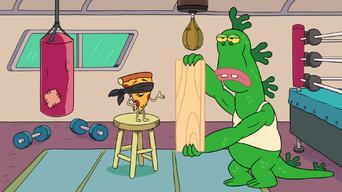 Revisit the nuttiest wrestling match ever, an epic showdown starring Chicken Man (Uncle Grandpa), The Best (Pizza Steve) and Mysterious Gus. 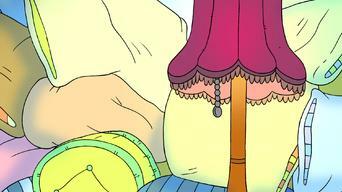 Before Uncle Grandpa can fight a monster terrorizing the city, he has to venture inside Belly Bag to see what's ailing his trusty assistant. 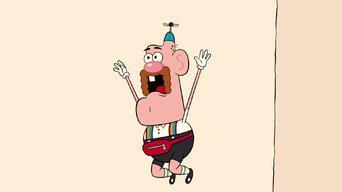 Uncle Grandpa takes a vacation to escape the screaming hordes of kids who need his help but finds that island life can be just as demanding. 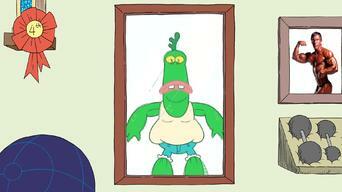 As Uncle Grandpa races around the world to help kids, he discovers he has competition from a ruthless rival. 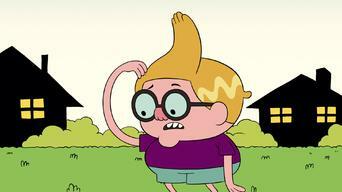 After a teen tricks Uncle Grandpa into helping him sneak out for a party, the gang races to fix the mistake. 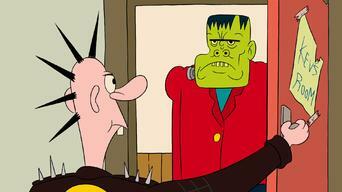 When older kids dismiss his haunted house as lame, Uncle Grandpa ups the scare factor with help from his friend Frankenstein. 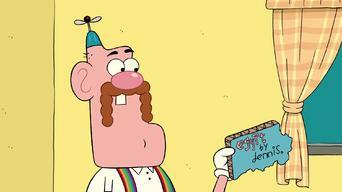 Uncle Grandpa and Mr. Gus travel through the Internet to hunt down a troll who's leaving mean comments on Uncle Grandpa's videos. When a girl fails to laugh at Uncle Grandpa's jokes, he discovers she has gremlins inside her -- and they're about to burst free. Locked up in an intergalactic prison after a prank call gone awry, Mr. Gus and Pizza Steve hatch a plan to escape. 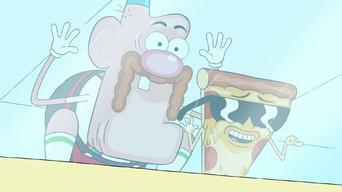 A shopping trip spawns an all-out crisis when Uncle Grandpa and Pizza Steve get stuck on a broken escalator. If only they could think of a way down. 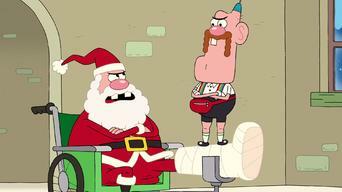 An unplanned stop at the North Pole reveals why Uncle Grandpa hates Christmas. 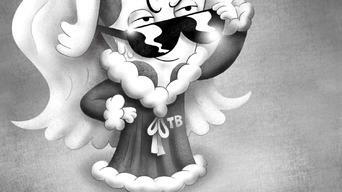 But he'll have to put his beef with Santa aside to help save the day. A girl who desperately wants a pet dog will have to train Uncle Grandpooch first to show her dad she's ready for the challenge.